How Thought You That This Thing Could Captivate? In Memoriam A. H. H.
In Memoriam A. H. H.: 44. How fares it with the happy dead? In Memoriam A. H. H.: 6. "One writes, that Other Friends.... "
O, Were I Loved As I Desire To Be! 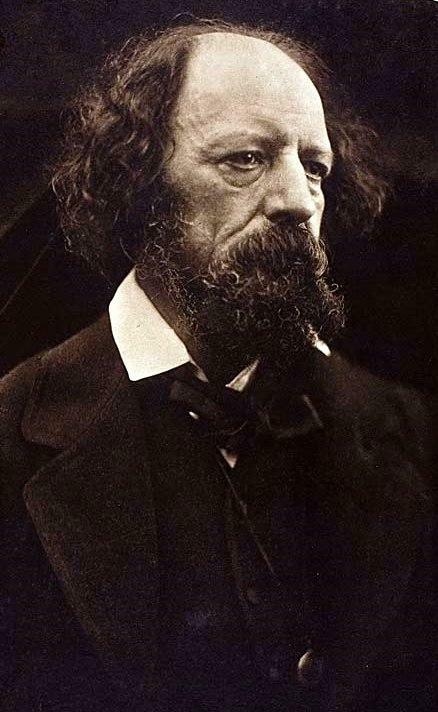 A Cambridge Scholar with no degree but exceptional skill in the artistry of the written language, Alfred, Lord Tennyson (1809 – 1892) stands among the best known as well as the most criticized poets of all time. The poet quite literally spent his entire life dedicated to pen and parchment. 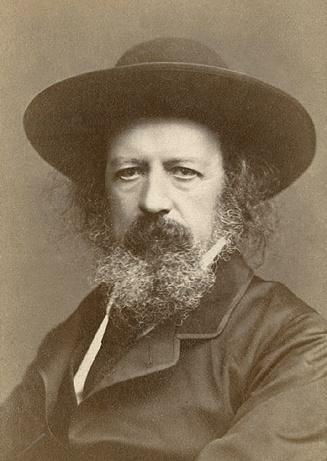 Records indicate that Alfred, Lord Tennyson began writing as early as five years of age and never stopped doing so. Where his drive and passion for literature was formed is quite obviously from his family roots. His two brothers were poets (though less popular). This combined with his scholarly influences refined his skills as a blacksmith does a treasured metal. 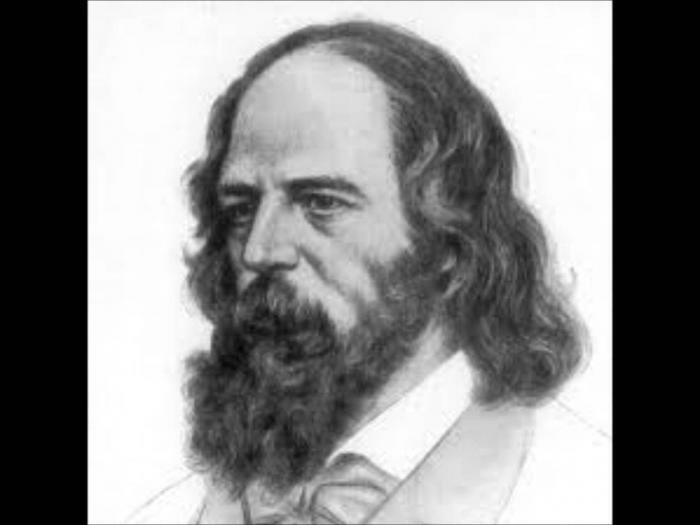 One of the Chief influences in Alfred Lord Tennyson’s life was Arthur Hallman. 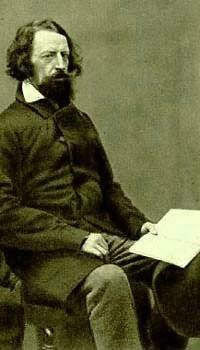 One must not succumb to believing rumors that Tennyson and Hallman had sexual relations as some critics have suggested. 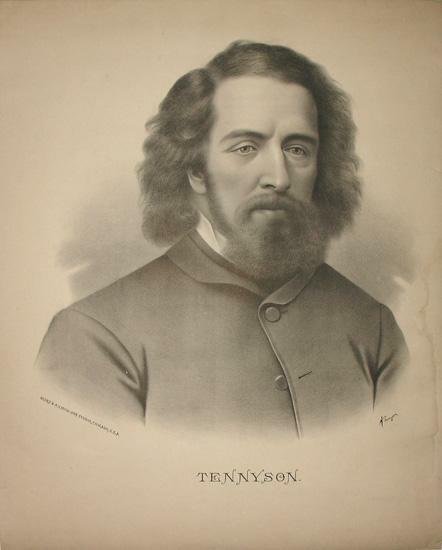 Where it is evident that Tennyson had a deep love for the man, there remains no definitive proof beyond speculation and rumor of a physical relationship. Hallman was merely a close companion. 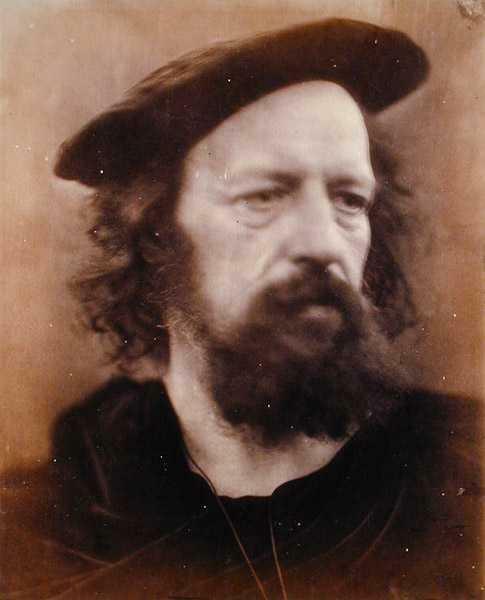 Being as how Tennyson’s beginning works got minimal acclaim, one can say that Arthur Hallman made it possible for the reader to have Alfred Lord Tennyson’s poems today. Through his encouragement and through his death Tennyson received the drive which he needed to press forward. 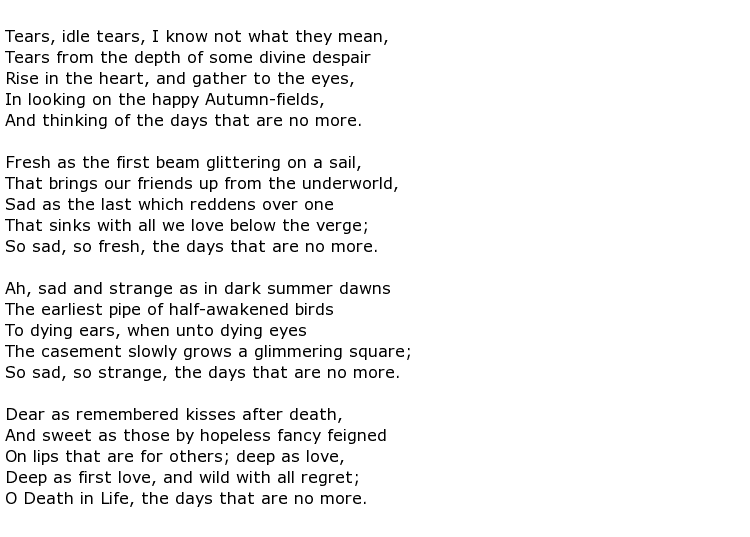 One can hear Tennyson’s mourning ring out in his poems Morte d’ Arthur as well as in Ulysses. Much like the title suggests, the poem Morte d’ Arthur includes the information of the death of Arthur. One must bear in mind that this poem is a tribute to Arthur Hallman. Once this is established in the mind, then the overall meaning and dynamics of this poem can be seen. Hallman is presented as the noble king but alas he is sent where he cannot be followed. The question that arises is what role Tennyson has placed himself in relation to Arthur within this poem. Is Tennyson a bystander recording events or is he grafted into the poem. Statements using the first person narrative would indicated that Tennyson wants the reader to conclude that he was standing on the shores as King Arthur (Hallman) was carried away to death’s embrace. 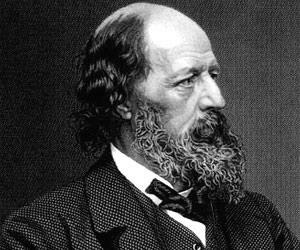 Any reader of Alfred, Lord Tennyson will quickly inform another that his works are generally heavy in verse. Such was the practice of that era. The creative style is best compared with the modern short story. Yet, unlike a short story, the poems do strive to have a rhythm and structure oriented to not only oriented to written dictation, but to oration as well. 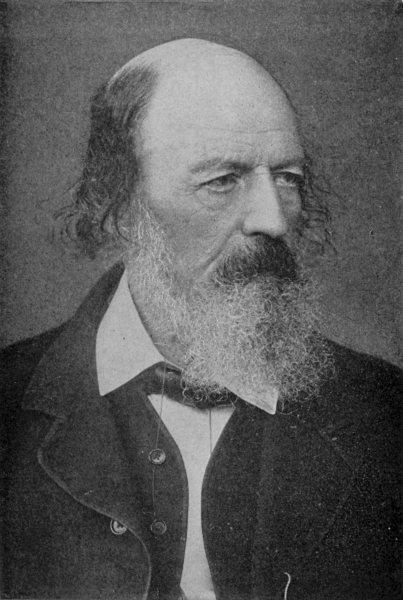 Most of Alfred, Lord Tennyson’s poems have an excess of 250 lines. His most notable poem In Memoriam A.H.H has several Cantos. Like many of the Romanticism poets, there is a call to Christianity found throughout. 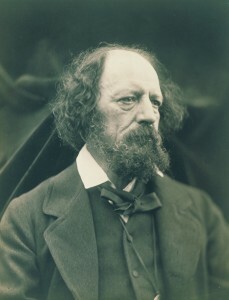 There are several poems which were written that are a great deal shorter than the three major narrative poems for which Alfred, Lord Tennyson is most commonly known (Morte d’ Arthur, In Memoriam A.H.H, and Ulysses). In Tears, Idle Tears one can see that in only 20 lines the poem has been dynamically presented. As short as this poem is, one can see that there is a great deal to be found within its contents. Even shorter still is Crossing the Bar which contains a mere 14 lines. 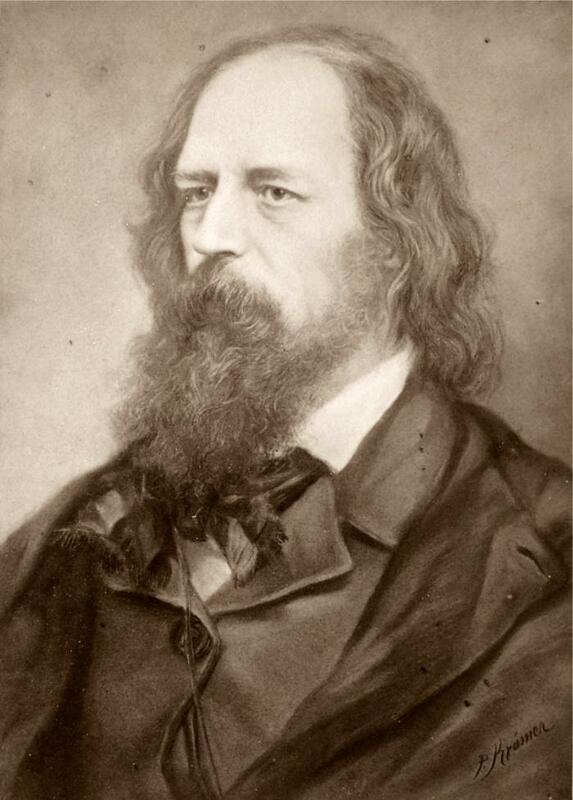 The diversity in which Alfred, Lord Tennyson writes makes it possible for both the literary master as well as the novice to enjoy intellectual poetry without becoming baffled to its length, meaning, or metaphors. Whether one is reading one of the longer or shorter works of Alfred Tennyson, it is clear that one is entertaining the relationship that Tennyson had with Hallman. True, one can read these works for leisure without any attention to the undertones which drive the work. Reading in such a manner with no intent to later look deeper, however, greatly diminishes the value of the work. Because Alfred, Lord Tennyson’s work was an accumulation of his poetic family, his scholar years, and (dominantly) his relationship with Arthur Hallman, to take any part of these three and discard it as moot would be to dismiss the works validity all together. 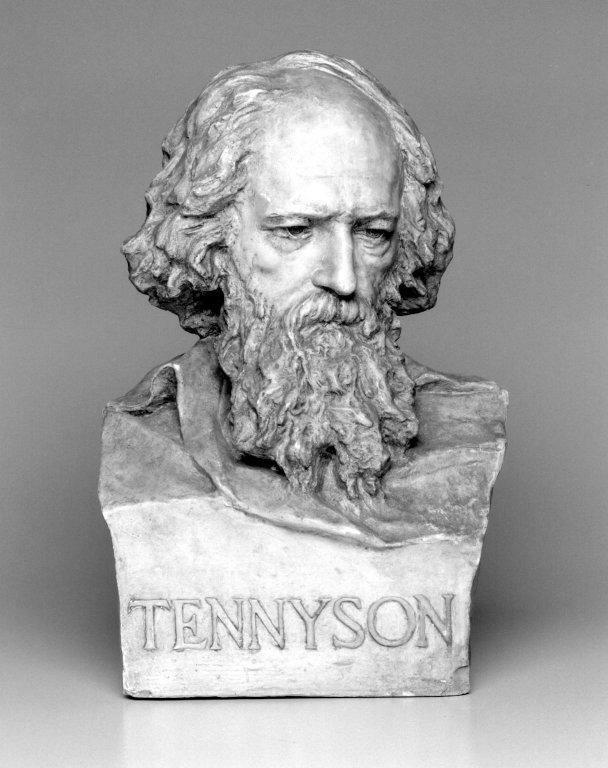 Standing tall among the other great poets of the past, Tennyson’s shoulders have been the starting point for many modern scholars and theologians. Any lover of the poetic arts would be wise to indulge their mind if only for a moment on his works.